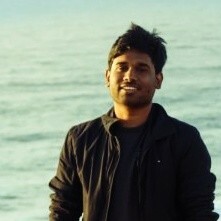 Hi, I'm Harsha. I completed my Bachelors of Engineering in 2012. After that I started working in Tata Consultancy Services, worked on a couple of different projects, worked in Home Depot. After about three and a half years working for TCS, I was interested in learning more about data and how data analytics help businesses. So I started applying for Masters in Information Systems, got into the University of Utah! After coming to the University of Utah, got an opportunity to take an internship at Nike, after which I also decided to take up the full time job opportunity at Nike. Currently working at Nike as Software Engineer! On the cloud platform engineering team, our main focus is to provide tools for other developers at Nike, to enable them to do fast and safe deployments to the club. We also evaluate, like the latest cloud technology that keep coming to the market. We make recommendations based on app and engineering teams' use case. We measure all the deployments of Nike through our products. We have KPIs, we monitor measure of the deliverables. Our core working hours are 8- 5, but they're very flexible on that. Focus is more on delivering results, that's all the hours put in. What tools (software programs, frameworks, models, algorithms, languages) do you use at work? Do you prefer certain tools more than the others? Why? My go-to for any app kind of development work. Especially since Java 8, I'm really loving all the functional features that we're manning. As far as frameworks go, Spring and Hibernate, I use them a lot. Spring, I really like all the features they have bean adding, especially the security features. The JPA features makes database interaction so much easier. We also tend to write a lot of doobie scripts and do a little bit of scholar here and there. So as scripting goes, Python is like my go-to for scripting, even for like data analysis and stuff. I feel like handling data in python is much more efficient and simpler. I would love to get into the functioning core Paradigm. So love to learn something like Haskell or Clojure. As far as tools go, Docker is like my everyday tool. I love docker a lot, helps me replicate like different environments on my laptop, easier to package your applications and stuff. I work a lot on Jenkins. Starting to learn a little bit about kubernetes and terrapin, app development and deployment on kubernetes. What things do you like about your job? Were there any pleasant surprises? Being on the cloud platform engineering teams, we often have to evaluate all the new technologies that are coming out against Nikes' use case. Because of this there's a lot of learning and implementing new things. This helps me keep updated with all the latest technology coming out. We're often given codes from business teams or from engineering teams, but we are never given like 'what to do!' So complete solution is in our hands, in the engineer's hands. As far as surprises go, Nike really surprised me with the scale and pace of things! What are the job titles of people you routinely work with? What strategies or approaches did you find to be effective in working with them? Since we write tools for other developers, I tend to work a lot with other engineers and other engineering teams. I think the best way to collaborate with engineers is to code because that's the language we speak. We encurage other teams and other developers to make full request into our products. All our products are inner sourced at Nike. There's a huge inner sourcing at work here. We also speak with engineering managers and directors. When speaking to the leadership teams, I feel like having specific data about the conversation creates a better decision making and have better meetings with them. What major challenges do you face in your job? Can you discuss a few accomplishments, and challenges that you overcame and felt proud of? Problem we have at Nike is scale! Engineering solutions that work at scale. Everything has to work its scale. This forces us to, like, do a lot of performance testing, writing better code. This really helps us write quality products. For example, we had a very big issue where we had to constantly keep scaling up, build agents with jenkins for enabling developer teams to deploy code, do lot of parallel deploys.. this was a manual process. We would go scale up on request and then sometimes forget scaling it down, leaking money and we had to go back, _ and scale down. So we automated the whole process now, it's all auto-scaled. All the build agents with jenkins will realize that there's a big build kill, they will go spin up infrastructure for themselves, this is all manually and once the busy time goes away, they all scale down automatically. This was a great unlock for Nike. I also worked on doing a lot of data collection and metric collection for all our tools, coming up with KPIs and monitoring strategies for our tools. This helped us evolve products and catch bugs in real time. What was the hiring process like for your job? What were the roles of people who interviewed you? What questions were asked and how did you answer them? So I had 2 technical interviews for the internship. One was with the Engineering Manager. The other one was with the Director. The first technical round was more about coding and technical skills. They had me solve a few coding puzzles, they had me solve a few scenarios they give me. The second interview was more about how my past experiences were, what the expectations from me in the team were. It was more about, like how I fit into the team and stuff like that. What qualities does your team look for while hiring? How does your team interview candidates? Usually there are atleast two or three rounds for interviewing on our team. The first round is usually with the Engineering Manager. He goes through what the expectations are and goes through your previous experience. The second one is usually with a few members on the team. We'll give you some problems to solve. There will be a white boarding round, technical discussion. For our team, problem solving skills are very important, so we give you a lot of problems. They will be tough questions, but we're not looking for a solution, we're just looking at your problem solving skills. Usually we expect strong technical skills, at least in one programming languages. We also expect some experience with cloud technologies. We're also looking for candidates who are very flexible and are able to adapt to all the changes here at Nike. What are some future career path(s) for you? What skills, certificates, or experiences do you plan on acquiring? Eventually, i would love to become a technical architect. I would love to solve real hard technology problems. As mentioned earlier, I would love to learn more functional programming languages like Haskell, Clojure. I'm also planning to get AWS certification which is really valuable right now. What are various starting positions and salaries in your domain? What are typical career paths after these starting positions? Usually college grads start at software engineering 1. I've also seen college grads do internship and then getting full time offers. That's pretty common at Nike. Ours or any other company I would say.. typical paths could be Software Engineering 1. In about two to three years, you get promoted to Software engineering 2, based on your performance and stuff, and then Senior Engineer and so on and so forth. I really like that the program focus is more about the principles, about data and stuff. The focus is not mainly on the technology. It's more about the algorithms and the theory which which is more valuable. I feel like because technology keeps changing and updating all the time but having solid principles will help you upgrade to the latest technology. That's what was the most interesting for me to pick this university. I also got a good scholarship at this university. I was also considering University of Iowa. It also had a strong information systems program. Alumni support is really awesome at University of Utah. I got the interview opportunity for the internship through an almuni referral. So keep in touch with alumni and check with them, network a lot with them at events. Career fairs are also a great way to find new jobs. Make sure that your resume is updated and targeted at the job you're applying to. As far as classes go, I really like the data mining class a lot. I also like the networking class a lot and the cloud one class a lot. Do you have any parting advice for young professionals? Is there anything you would have done differently in your life? Doing a lot of good side projects is a really good way to learn new things. It not only helps you learn new things, but it also quantifies your learning. So you can measure, like what the learning is, and you can see and other people can see that you're skilled in certain areas and technologies. It's a really good boost for your profile I feel. Also I would have, like more contributions in the OSS (open source), working in the community, working on OSS projects is really, really helpful.